If it can be sharpened, we'd like to help. MCK offers assistance in getting things sharpened like drill bits, annular cutters, circular saw blades, scissors, clippers, etc. Bring it to MCK and we'll get it to the most effective and efficient local sharpener. MCK wants to make your next job not so dull. A non-working tool won't get your job done! 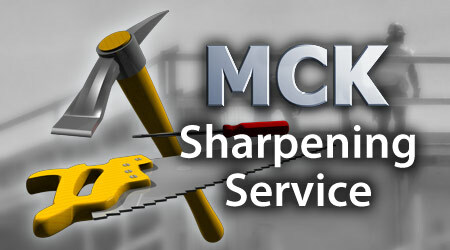 MCK would be happy to assist you in getting your broken tool to a respective service center for repair. We use all local service centers to save time, save freight, and support our communities. 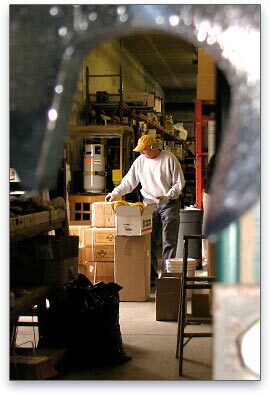 The service centers offer estimates, maximum repair rates and warranty repair/replacement. Bring yours in to MCK today and we'll get you up and running. MCK Tool & Supply is here to get you the best, most affordable tools and supplies, for every kind of project and ongoing need. But we also do much more than this! Serving SW Washington since 1972, MCK has provided you, our customers, with superior service; by knowing you and your business, understanding the work you do, and being there to fulfill all of your tool and supply needs, even anticipating those needs and introducing you to the latest technlogies and innovations. We know tools and supplies! 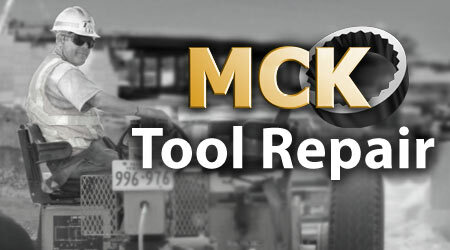 MCK is always ready to fill your orders so that the right tools and supplies are always at hand, at the ready, in your work environment, with tools operating as they should. We help keep you focused on the action, doing the work you do best, by understanding your ongoing tool and supply needs, helping you run your business more efficiently and profitably. Learn more, or place an order, by talking with one of our knowledgable sales professionals.